This unique starfish shaped pendant is dazzling and perfect for any occasion. 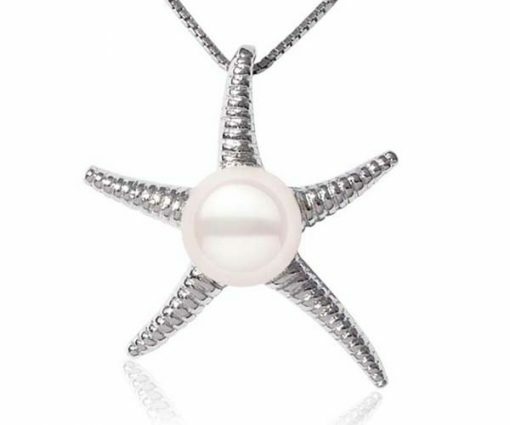 The pendant features a genuine 6-7mm round shaped button pearl set in the starfish shaped setting. The setting is base metal with 18K white gold overlay to keep it from tarnishing. 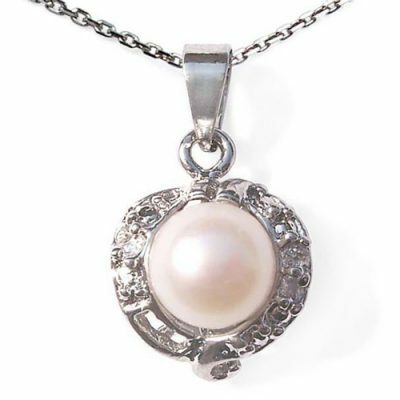 The pendant is approximately 1″ x 1/2″ and has an approximate weight of 2.72 grams. 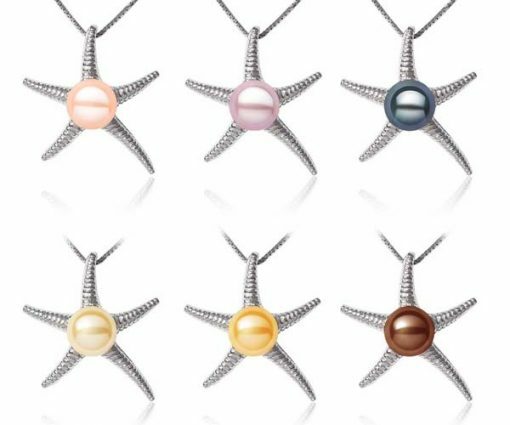 Several colors of pearls are available: White(sold out), Pink, Mauve, Black, Champagne, Gold, and Chocolate. 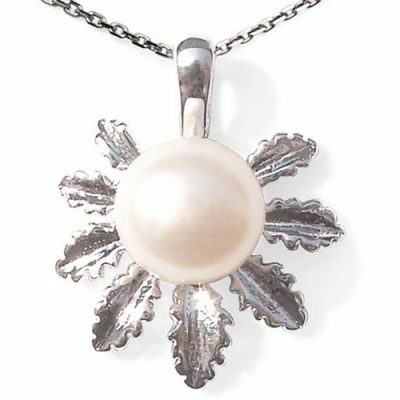 The pendant will come with a free 16″ sterling silver box chain with 925 stamped on the clasp. 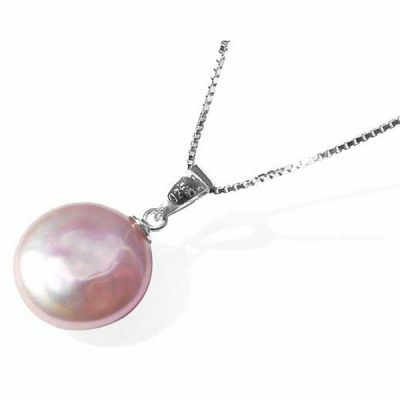 If you would prefer to have an 18in long chain you can type “ZSS1001” in the search box for “Product No”.